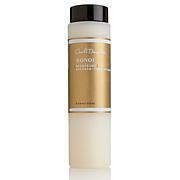 Make beautiful hair as easy as washing it with this moisturizing shampoo. 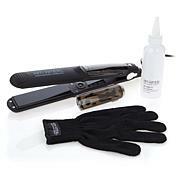 It helps combat split ends and leave hair looking softer, smoother, shinier and full of body. One simple step, gorgeous results. TOCOPHERYL ACETATE, CHAMOMIILA RECUTITA (MATRICARIA) EXTRACT, PROPYLENE GLYCOL, ALTHAEA OFFICINALIS ROCT EXTRACT, TUSSIIAGO FARFARA (COLTSFOOT) LEAF EXTRACT, TARAXACUM OFFICINALE (DANDELION) EXTRACT, FOENICULUM VULGARE (FENNEL) SEED EXTRACT, HUMULUS LUPUIUS (HOPS) EXTRACT, AESCUIUS HIPPOCASTANUM (HORSE CHESTNUT) SEED EXTRACT, EQUISETUM HIEMALE EXTRACT, HEDERA HELIX (IVY) EXTRACT, LAVANDULA ANGUSTIFOLIA (LAVENDER) FLOWER EXTRACT, ROSMARINUS OFFICINALIS (ROSEMARY) LEAF EXTRACT, SALVIA OFFICINALIS (SAGE) LEAF EXTRACT, SAMBUCUS NIGRA FLOWER EXTRACT, THYMUS VULGARIS (THYME) EXTRACT, HAMAMEIIS VIRGINIANA (WITCH HAZEL) EXTRACT, ACHILLEA MILLEFOLIUM EXTRACT. Remind me about Kim Kimble upcoming shows.